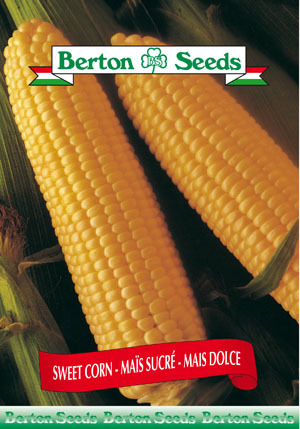 This variety is a normal, sugar yellow corn. Ears are 7 inches long. Sowing instructions: Should be sown in June when soil temperature is 60-65 F. Plant seeds 1 inch deep and 6-8 inches apart. Space rows 36 inches apart. Harvest August-September.